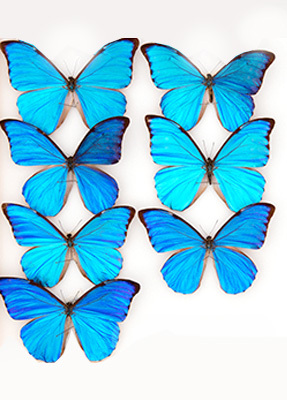 Ray Shannon ( 1 July 1917 – 7 June 2008) started collecting butterflies while stationed in the Solomon Islands during the Second World War and during his lifetime acquired thousands of specimens from across the globe. 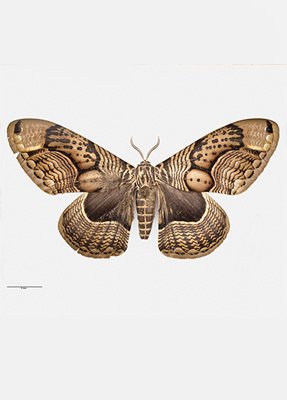 He gave his extensive 13,000-strong collection of butterflies to Auckland Museum, along with many butterfly books. 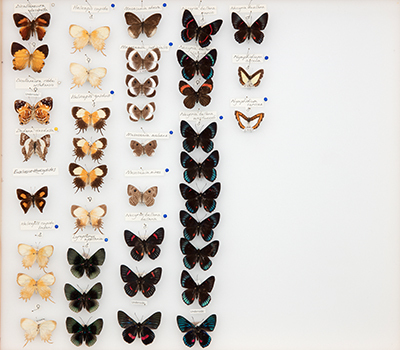 The collection, which is strongly representated by specimens from Australasia, Asia and South America, is used by entomologists and border officials for butterfly identification and classification. 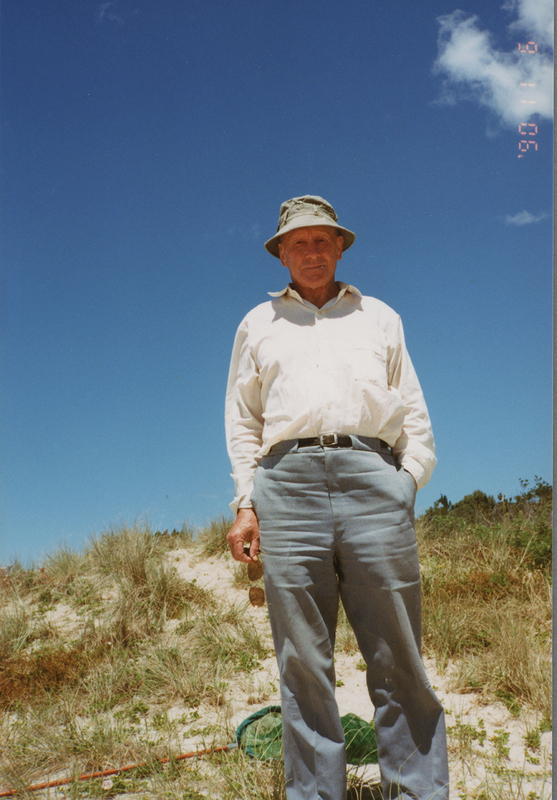 Before being posted to the Solomon Islands as an electrical engineer, Ray Shannon visited the entomologists at the old Plant Diseases Division of the DSIR (now Landcare Research) and then set about amassing his collection. He armed himself with good advice on how to collect and preserve insects, some basic equipment and a jar of cyanide for killing them. From here, his obsession took flight. Ray recounted a defining moment soon after he arrived in the Solomons where he was based up in the hills and responsible for radio communications. A large birdwing butterfly lazily flew past. These are among the largest butterflies in the world and males are spectacularly coloured. Ray with his butterfly net. There was no time to grab his net so instinctively he leaped into the air to try to grab it without taking time to consider that on the steep hillside the ground fell away rather abruptly. Ray crash-landed several metres down the slope suffering grazes and bruises for his efforts but no butterfly. He kept his insects mounted on layered sheets of card in two metal tins, each layer separated by home-made scaffolding made from brazing rods. When moving between islands he didn’t worry too much about his kit getting wet but took great care that the insects remained safe and dry – they were his first priority. All of the butterflies that Ray collected during the war were housed in tins. 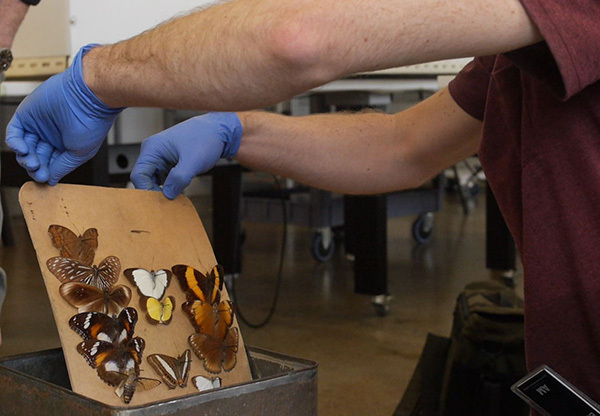 In this shot, our conservator Ian Langston takes out a tray of butterflies so they can be cleaned and prepared for the exhibition - the Secret World of Butterflies. After the war ended in 1945, he used his holidays to actively collect butterflies on many trips to Asia and South America. In addition to those that he caught himself, he bought specimens from local collectors. This continued well into his retirement until health prevented travel to far flung places but he continued to collect, using the internet to make contact with and buy specimens from insect dealers all around the world. He was a quiet and reserved man but not one to be messed around, and his letters to dealers express his disappointment and dissatisfaction when he received butterflies which were not in as good a condition as he expected. Ray assiduously combed book publishers' catalogues to build up an extensive library on the subject, and was just as proud of these as he was of the butterflies themselves. The books had pride of place in his living room and his trays of butterflies completely filled the spare bedroom, stored vertically on purpose-built shelving like books rather than horizontally in cabinets. Ray’s collection has played an important role in this identification of rare and protected butterflies by helping border officials to determine if any butterflies being brought into the country are protected species. To prevent the trade of rare and endangered species, border officials will stop anyone traveling with insects, plants or animals – and if an official suspects it is a protected species they will retain the specimen for further identification. In the photo above, the two butterflies at the top right marked with a red dot are a rare and protected species (Papilio grosesmithi) from Madagascar. Two very similar species to their left (Papilio demodoeus and Papilio erithonioides) are common species in Africa and not protected. 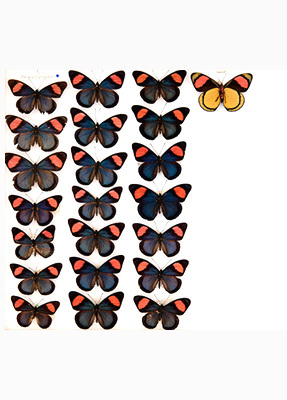 It isn't possible for every officer to know the finer points of butterfly identification on the spot so they will compare these specimens to those found in Ray’s collection to determine subtle differences in look-alike butterflies. 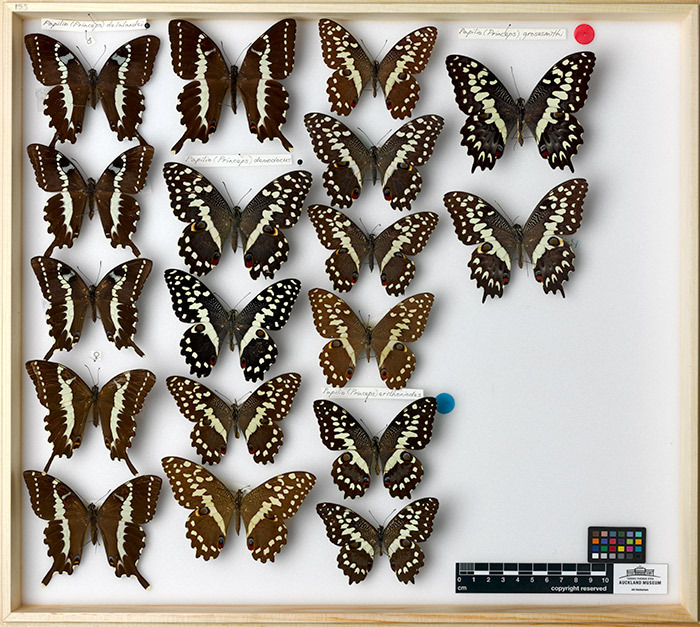 Thanks to Ray’s passion for butterfly collecting, his care and fastidious documentation, Auckland Museum is now guardian to an incredible collection that can be viewed at our Secret World of Butterflies exhibition and online. 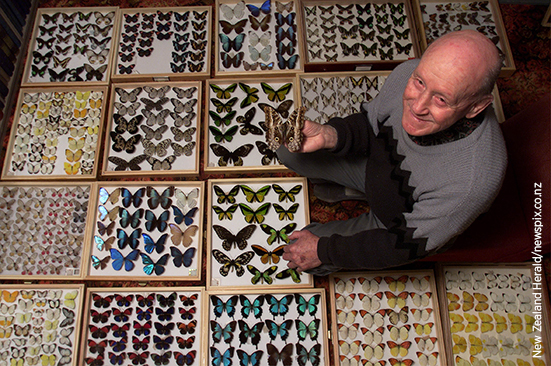 Pictured top: Ray Shannon in his Birkdale home with his collection of butterflies, 1999. Photographer: Brett Phibbs for the New Zealand Herald. New Zealand Herald/newspix.co.nz.